Wow! It's been a long time!! 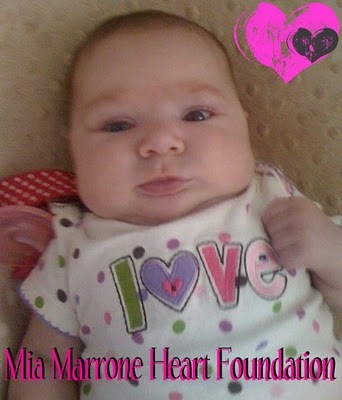 Mia grace Marrone was born on April 25, 2010 with HLHS. Sadly Mia passed away on July 25th, 2010. Although her time on the earth was cut way to short Mia continues to inspire hope and create awareness. Mia's parents, Jennifer and Ray Marrone, have made it their mission to continue Mia's fight and fight for other families affected by congenital heart defects. They've founded the Mia Marrone Heart Foundation. One of their first, of many accomplishments, is the Mia Marrone Heart Charm. 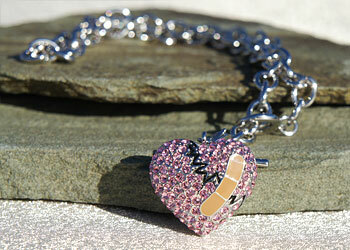 Mia's Charm is a beautiful reminder and awareness piece for heart families and those affected by CHDs. 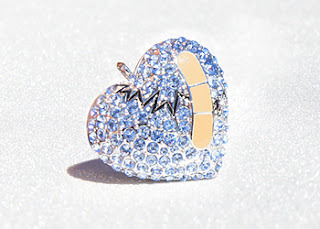 The Mia Marrone Heart Charm comes in blue or pink. 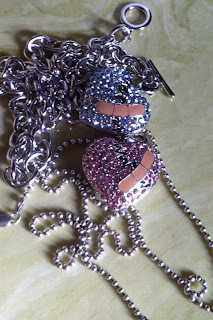 You can also purchase a toggle chain to wear with your charm. 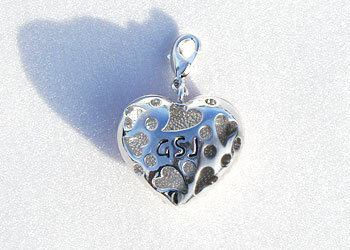 The best part (other than its sheer beauty) is that this charm is a great way to help spread awareness. Everytime someone asks about your one of a kind piece of jewelry you can share Mia's story and help create awareness for congenital heart defects. 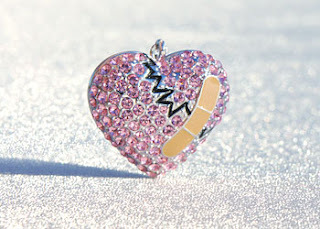 If you love the Mia Charm as much as we do, you can check it out in detail through The Mia Marrone Heart Foundation, print an order form here or by emailing a request toHLHS.HeartHugsForMia@yahoo.com if you do not have a Facebook account. What a fabulous way to honor your daughter and raise awareness for such an important cause! The charms are beautiful! This blog is about our daughter Mia who was born with Left Hypoplastic Heart Syndrome. She has undergone 1 of the 3 open heart surgeries she will need to survive. She has a twin brother named Madden and an older brother named Cole. We are her parents Ray and Jennifer. Please read her journey as it continues to unfold. With Mia having open heart surgery at only 6 days old made me realize how quickly life can chage in the blink of an eye. Ray and I are so fortunate to be given such a precious gift to take care of. She is truly a miracle. I am happy to be who I am, to have the husband and friends and family that I have. Her smile can light up a room. She was given to us for a purpose in life and to think I almost did not get the chance to be her mom is heartbreaking to me. Thank you to everyone that prayed for us, cried with us and supported us on this very emotional and trying time that we have had so far. We cannot thank you enough....our emotions for you are beyond words. From the words of a dear friend "I do not have to figure out how God is going to solve our problem. We don't have to understand how he is going to bring it to pass....that's his responsibility. Our job is to simply believe that he will."